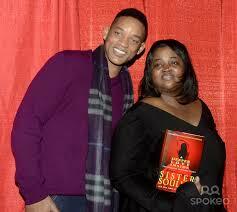 Sister Souljah – Her Words, Her Life, Her Truth! “To be a real man or woman, you’ve got to know what you believe in. You’ve got to understand that your actions have consequences and that they are connected to everything that you are!” This quote, amongst several others, has always resonated firmly with me as I continue to navigate my way through the world of a writer. A quote, birthed from one of the most important authors of my generation, and that of the entire Hip Hop generation – Sister Souljah! 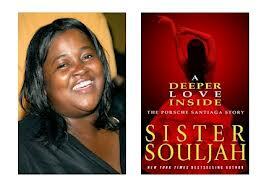 In a world where the importance of defining oneself becomes less about pride and more about social media status, Bronx, New York born and bred Sister Souljah stands firm in her resolve when it comes to creating the life and path you want and walking with conviction of your definition on a daily basis. She prides herself on being a ‘ wife, mother, educator, author, speaker, institution builder, thinker and advisor’ , but more than that are the words that flow from her soul into the award winning, life changing, culture defining books she has penned over the last decade. With 5 national best sellers under her scribe, “No Disrespect”, “The Coldest Winter Ever” (Fiction), “Midnight – A Gangster Love Story” (Fiction), “Midnight and the Meaning of Love” (Fiction) and her latest fictional work of art, “A Deeper Love Inside”, released earlier this year. Through all of her written works, her message packs a mighty punch and always leaves her readers wanting more, not only of her writing but more out of life in general. 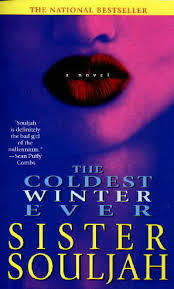 Sister Souljah’s life reads like a biographical timeline of profound historical reference that it is often hard to believe that she is still of our current time. She is no wallflower when it comes to raising up and speaking on the topics that not only plague the hip hop youth of America’s current political climate, but she stands as the voice of those facing trials, challenges and injustices around the world. A proud community activist, she has rallied against racially motivated crimes, police brutality and the miseducation of urban youth. She is an avid traveller and has explored, taught and worked with communities and schools from England and Russia to Mozambique and Zambia and is always a student to the teachings of our world and how travel in itself helps to define an individual’s purpose in life. She has worked with everyone from P.Diddy to Will and Jada Smith, interviewed with Oprah and reached countless other celebrities, personalities, politicians and the global public through her books and her community causes. 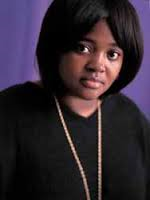 For me, this interview, her first in Australia, has been a lesson in perseverance and patience, for Sister Souljah has always been one of my greatest inspirations in my own writers journey, I never imagined that one day I would get to interview her. She is an extremely busy woman with time being a precious commodity, so I am most grateful to my courage in persuing this interview with her, marvelled by my patience in waiting for her well timed response and every so honoured that I get to share with my readers the inner thoughts and powerful voice of a woman who continues to shape the generations to follow, Sister Souljah ……thank you! Thank you so much for your time Souljah; it is such an honor being able to have this opportunity to write about you and your journey thus far! Your story is an epic one filled with all of the attributes of a life filled with messages of freedom, struggle, empowerment and perseverance. 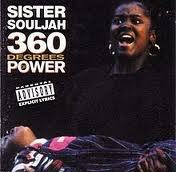 To an Australian audience or those that may not know who Sister Souljah is, how would you best describe your journey, your voice, your purpose up to this point? 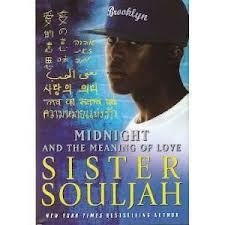 My name is Sister Souljah. The name was one which I gave to myself for the purpose of renaming my soul and accentuating my life purpose as I understood it. I never wanted to be a queen over others or any type of royalty. I chose “sister,” because it feels good and familiar, and I want people to consider me as part of a purposeful family. Souljah includes 2 words and meanings, soul which means, “The essence of…” and “Jah” which is one of many names used to identify the MAKER of all souls. So the name means “a fighter to bring out the essence of God in each of us.” I try and correct myself before correcting others. Yet, I actively correct others by attempting to be a good example of my beliefs. 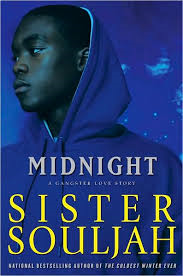 I have been a fan of your written work for as long as I can remember, purchasing my first Sister Souljah book ‘No Disrespect” back in 1996 at a bookstore in Harlem and I have been hooked ever since. Your words and message strike a very honest cord with me, not only as a woman but as someone who too in my life have had to fight back against obstacles of race and culture. You have gone on to provide the literary world with true gems in your Midnight series and have just released your current bestseller “A Deeper Love” based around Porsche Santiago’s story, sister to the female lead in your series. I am intrigued to know how you came about creating this series and what the process if like for you when it comes to starting and finishing a book? I believe that we should think before we initiate anything. Are we doing something that is good n true and or useful or not? Once I initiate anything, I put my mind towards completion. If we don’t complete the good and true things that we started, then it/you/ we are useless. I do not have a particular writing process. I just prefer cleanliness in any environment so my imagination feels free and comfortable. But even if I were stuck in a dirty place, and hopefully I won’t be, I could still imagine and write. I love the public libraries across the globe and bookstores as well. They are great reservoirs of knowledge. Usually they are also quiet clean spaces. (But I hate when any store plays bad music that makes a customer want to hurry up and rush out of the place, lol). I feel that my stories are a gift from the MOST HIGH for which I am eternally grateful. I believe that each and every one of us is given at least one gift and at least one assignment. Everyday I feel that I am using my gift to complete my assignment. I want my soul to become pleasing to the MAKER who made it. I believe we should please the ONE who made us, before any one else. I believe there is an order to life. I often say that “every word I’ve written on the page, was plucked from my soul or placed in my heart or tongue or tucked into the inside of my mind. Then I convey it. Anyone familiar with you Souljah will be aware of the community activist and youth initiative projects you always lend yourself to, having started your crusade years ago when you attended a school in New Jersey that you felt at the time didn’t teach enough about Black History in its curriculum. You went on to explore the reasons behind that and your questioning got through to Washington eventually, creating some controversy for you at the time? For those that have always understood your purpose and mission in this world your voice and actions deemed honest and true – for those still learning about the effects civil rights have had in our history and why you always speak up for the truth, how could you best describe the actions you took back then as a young student to question what you were being taught and to not just take any old answer your teachers or Washington was giving you? For the greatest detail, I hope to provide readers with The Autobiography of Sister Souljah, as soon as humanely possible. In a nutshell however, I have always been a careful eyed female, from very very, young age. I always wanted to know, “Why is he or he crying?” Why do all the Black people live in one area of a city or town? Who are those people inside the television and why are their lives so much “richer,” than ours? Why do people assume that a Black child is not smarter than a white one automatically? I always wanted to know even more intense answers that I would question my mother. “What happened to daddy? Where did he go? Why did he go? What did you do or say to him that made him leave? When is he coming back? And who is this stranger sitting in our living room?” As I matured my eyes became even more hungry, my heart heavy and my mind deepened. Along the way, I was ALWAYS reading, reading reading, and knowledge gives one the confidence to challenge injustice wherever it lives. A belief in God, of course give a true one, FEARLESSNESS. 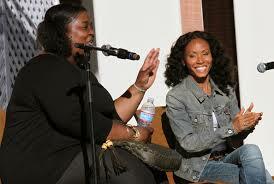 Your role in Hip Hop is respected and revered. From working alongside P.Diddy and running his Daddy’s House Social Programs Inc. corporation to becoming a member with Public Enemy and even releasing your only album to date, 360 Degrees of Power. How did you take that experience and what have you learnt about the hip hop community then as opposed to community now? There is no comparison between then and now, One day I’ll write a detailed article or book about my presence in hip-hop, and knowing and having as acquaintances the top celebrities world wide and the ways in which we connected and failed to connect, the things we achieved and the things that we left undone, as well as the ways in which effected each other personally and professionally. It is a long and detailed journey and adventure, so much so that young people might come to believe that it is a made up story like my novels, but it will be 100 pure non fiction. You have travelled the world teaching and speaking to school groups, organisations and community’s on a whole – has there been any one country or experience in your global travels that has stood out in your mind as having changed your life on a certain level? What do take with you from your teaching abroad and do you apply its lessons to your daily life at all? I’d have to think about that for a long time before commenting. Any chance we could see you visiting Australia soon to come and speak to our communities and school groups down here? What is your knowledge on our Aboriginal / indigenous community if any? I would love to be invited and sponsored to travel to Australia. That’s the tough part. It takes a company, school, university or organization who believes firmly that my impact is worthy of their sponsorship. Just think what would happen with my family if I had to come out of pocket for each and every invite from each and every city, state or country? We would be flat broke. I believe charity begins and continues at home. If I have to move out of the NY NJ Connecticut area to a far away place to teach and learn and develop and share, it’s gonna cost. I don’t want to front on that truth. I have travelled to many places all for the sake of learning or teaching and sharing. I am so grateful for that opportunity. I have lived the educational life of a little rich girl, but the truth is that I was a welfare recipient with section 8 housing whose family got a free block of cheese and cans of peanut butter from the government and sometimes sat in the dark cause the power shut off and no adult could afford to get it back on. All of my travels were by the grace of the MOST HIGH and my opportunity to score high on test, exams and win scholarships to schools and countries and programs etc. There is not one place that I travelled, for more than one week or stayed over one year, where I haven’t absolutely learned a gazillion different things and met colourful peoples who gave some and took some. That goes for my trip to Russia, formerly known as the Soviet Union, South Africa, Zimbabwe, Zambia, and so on, and the European nations as well. How do you feel about President Barack Obama’s current presidency and the path America is on at the moment? I would need to address this not in the confines of a limited interview, to speak properly and clearly at length and to do the serious topic justice. I was living in Japan when President Obama was first elected. I saw it on the Japanese news as it was happening. Everything was narrated in the Japanese language. But, I could see his smile, everyone’s tears and the mixture of happiness and fear, relief and anxiety. I only called one person that night and that was Jada. We were both like, Can you believe this? What music / artists are you currently listening to and what are your thoughts on the hip hop music community today? I love music from around the world. The main thing for me is it has to be music that moves the soul, OR IT IS NOT MUSIC AT ALL. For America, I love the music of R.Kelly, Lenny Kravitz, Marc Anthony, Al Green, Usher, and the list goes on. For hip hop I loved: PUBLIC ENEMY. Chuck D is my favorite MC of all times cause he took the movement, the struggle, the cause and through the “BOMB SQUAD,” gave it fat tracks and depth integrating the sounds and feelings and thoughts of the streets and the scholars. It moved the soul like crazy and was simply incredibly relevant. Chuck D marketed Black/African masculinity unapologetically, “Rough cause I’m a man…” and he put the mind and thoughts and circumstances of our men powerfully on the map. II loved seeing Mike Tyson coming out to “Welcome to the Terrordome.” That was f’kin excitement! I loved seeing PE rock the stadiums in NY, Philly,…all around the world. My favorite hip-hop band is Bone Thugs and Harmony. I think “them boys,” is freaking phenomenal.” They took the “heat of the streets, the hate of oppression, the love of resistance, and the sloth of the ghetto and mashed it up with spiritual aspirations, brotherly love and put it in a soul shaking melody that moved the soul. No hip-hop group ever touched them till today. 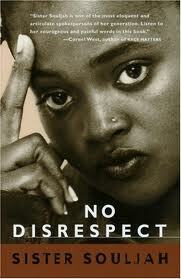 As far as female MC’s Lauryn Hill was the best of them/us all and we all knew it. I think so many were jealous of her because they couldn’t duplicate her style or light. I think she was targeted and because she was young, she may have been an easy target. And, because she is a woman, emotions and all…(and I claim or womanly emotions cause they are real—Fck what an extremist feminist might say…) I think that gave her a rough ride in her personal life and business. But her music stands aside from all of that. I also love music from India. I think their audio engineers top ours in sound quality. They have many artists from classic to contemporary who move the soul beautifully. They have NOT lost the art of love, and the depth of love, and their can be felt and craved. Besides it’s healing. From Korea I love Jung Ji Hoon’s music performance, also known as Rain. He’s better than any current K=Pop artist, and just as good as us in song. I saw him live in a stadium with 30,000 other people over in Asia. I could tell he learned a lot from the originators of soul music, but it was more than imitation in his song. It felt good and I could listen over and over again. Three lessons / pieces of advice you have been given in your life to this point that you always remember? 1) Always read every single word on your contracts before you sign them. 2) Never let lawyers and agents sign checks on your behalf. Your mission statement in life and what keeps you centred and true to yourself? “I don’t need a lawyer or interloper or pastor or imam or rabbi or choir director or priest or fortune teller to speak to the MAKER of All souls. I don’t need a particular church or mosque or synagogue or temple I speak to the CREATOR through my continuous prayers and through my soul as evidenced by my daily actions. I am not impressed by most humans. I’m in love with the MAKER of the sky, and the seas and mountains and the trees. I’m in deep admiration of the MAKER of the mind, the memory and the imagination. I don’t need anything that wasn’t meant for me to have, don’t function out of desperation or pride. I walk humbly on this earth, but when it’s time to write or fight, I replace my fears with FAITH. ← Brett Costello talks Oz Urban Radio and the Internet Radio Takeover!